A group of around 30 heavily armed men in military gear, suspected to be Al-Shabaab militants, killed three men in Lamu West, near Hindi, at about 1.30am on Wednesday (6 September). 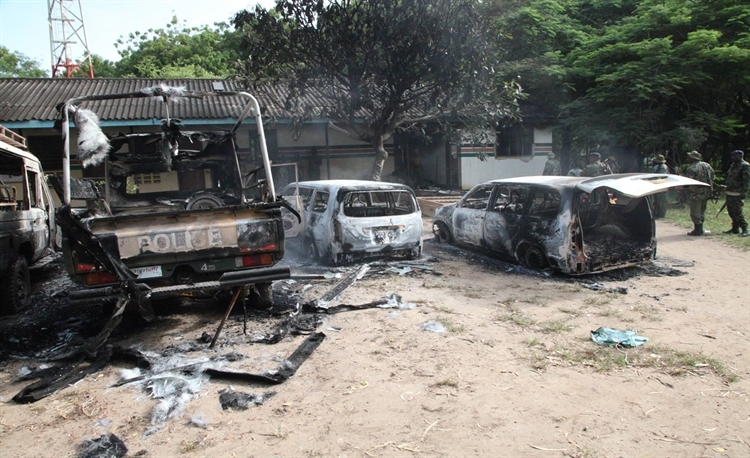 In eastern coastal Kenya, along the Somali border, Lamu has been beset by Islamist attacks for years. This has instilled fear in regions where Christians are the minority. Wednesday’s attackers, armed with AK-47 rifles, surrounded homes in Bobo village and called out the names of the non-Muslim men, according to local sources. When the men came out, the assailants ordered them to show their ID cards, before beheading them. The three victims were all Christians. Gerald Wanjohi was one victim; his wife Catherine climbed onto the roof when the attackers broke down their door. “They were speaking in Somali and broken Swahili,” she testified. Joseph Kimani, a teacher at Bobo Primary School, also died. The killers also burnt down his house. Locals also said that they were angered by police inaction after reporting the presence of suspicious men near Silini-Mashambani village, about 3km from Bobo, the day before. Another man had been hacked to death as he was cutting timber at Silini-Mashambani at around 6.30pm. A man with him escaped to raise the alarm, but locals said police claimed they could not then respond as they had “run out of fuel”. Angered by the rapidly deteriorating state of security in the area, the residents of Hindi held demonstrations on Wednesday, setting tyres on fire along the Hindi road and demanding action from the government. On 18 August, three Kenyan Christians were hacked to death by Al-Shabaab militants after they refused to recite the Islamic prayer of faith. A fourth Christian – the mentally challenged older brother of one of the three – was also killed. In July, the radical Islamist group beheaded nine Kenyans – some of whom belonged to a local church – in the Pandaguo area of Lamu West. 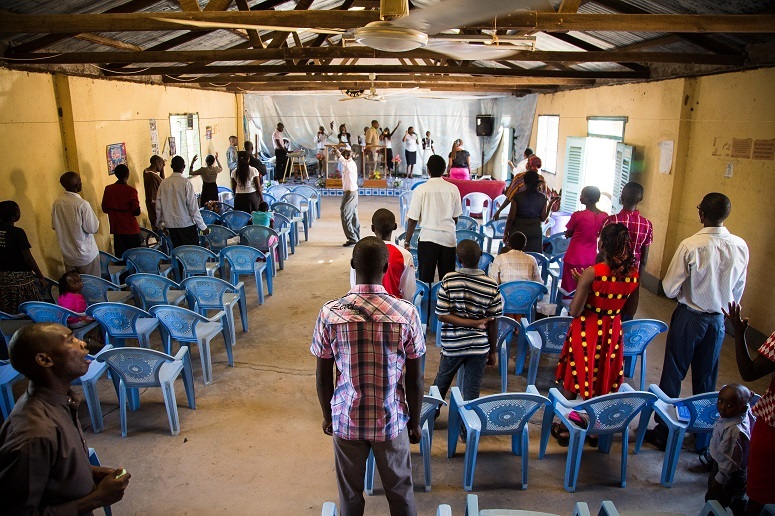 This practice appears to be a change of strategy for the group, which has used Improvised Explosive Devices (IEDs), guns and grenades in the past to attack Kenyan Christians. As World Watch Monitor reported last month, Al-Shabaab has set up bases in Boni, a forest that straddles the Kenyan-Somali border. The group has been using the forest as a cover to attack villages on the Kenyan side, according to security sources. Three years ago, on 5 July 2014, in a nearby Hindi village, up to 20 attackers killed at least 13 people with guns and knives. Among those killed was Kenya Kazungu, who was found with a Bible on his back in a pool of blood, according to eyewitnesses. Another victim was reported to be Ken Mangara, a 12-year-old student at Kibiboni Primary School. One survivor said the assailants had told non-Muslims to leave the area. “The attackers talked in Somali and Swahili, saying non-Muslims should get out, and if not they should convert to Islam,” the survivor said. Two nights after the Hindi attack, on Monday 7 July, assailants arrived at Covenant Church, 3km north of Hindi, as a Bible study ended. As participants fled, two men, Joseph Kangethe and Kenda Masha, who instead chose to hide, died when the attackers set fire to the building.